As a non-profit viewer-supported television station and PBS member station, East Tennessee PBS provides lifelong learning opportunities to more than 1 million viewers in East Tennessee, Southern Kentucky, Southwest Virginia and Western North Carolina. We achieve this by broadcasting non-violent, commercial-free children's series; instructional programs; and primetime shows that educate, entertain, inform and inspire. We exist to serve the needs of East Tennessee as a community partner affecting positive change by educating, entertaining and challenging minds. The station employs a team of dedicated staff members in several departments: engineering, membership, production, development, programming, outreach and communications. As a 501(c)3 nonprofit organization, we're governed by a board of committed volunteers: a 15-member Board of Trustees and eight-member Community Advisory Board. Click here for more information about our open meetings. 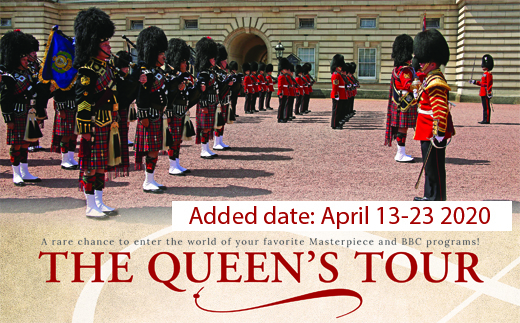 Our award-winning programs give you front row seats to the best performances around the globe. They keep you informed of the latest national, international and financial news; and promote lifelong learning with the finest nature, documentary, travel and how-to programs found on television. Our children’s programs deliver dependable trustworthy lessons for early childhood development. Our focus is to provide quality programming not found anywhere else. We also strive to serve our community and its needs. We're committed to being an active community partner that affects positive change. We believe that together with our award-winning programming, our community partners and our dedicated staff we can achieve anything. While we invest our resources in initiatives that improve the lives of those living in this great community, we dedicate most of our time and energy to educational projects that make learning available to all. We also donate airtime to support other local nonprofit organizations via our community calendar and media sponsorship. When there are job openings at East Tennessee PBS, we will post them here. East TN Public Communications Corporation has a goal of diversity in workforce, management and governing board. Our Guidelines are laid out in both our FCC and EEO submitted files as well as our diversity policy and employee statistics. We will strive to take actions to satisfy Diversity Policy as new workforce, management and governing board is put in place. If you have questions about our diversity police, please contact Vickie Lawson, President General Manager, at vlawson@easttennesseepbs.org. To obtain a copy of our audited financial statements and financial reports, please contact Vickie Lawson, President General Manager, at vlawson@easttennesseepbs.org. Since our beginning in 1967, the community has played a vital role in our station's history. We are proud be our area's source for quality programming and lifelong learning opportunities. Public television in East Tennessee began its journey as a pioneer in the classroom on March 15, 1967, when WSJK-Sneedville (Channel 2) signed on the air and began to broadcast daily instructional programming to K-12 schools. Governed by the Tennessee State Board of Education, the mission of WSJK was to enhance classroom instruction. Over the years, the mission of WSJK expanded beyond the classroom to include award-winning programming from PBS and other sources, as well as the production of local programming. Great changes began during the 1980s when WSJK was presented with the opportunity to serve as the supplier of on-site video at the 1982 World’s Fair in Knoxville, Tennessee. The channel also became the first to air regularly scheduled telecasts of both the University of Tennessee basketball games after introducing the concept of satellite teleconferencing to East Tennessee. In September 1983, East Tennessee Public Communications Corporation formed as a nonprofit organization and took over governance of WSJK from the Tennessee State Board of Education. To improve the signal in Knoxville and surrounding counties, WKOP-Knoxville (Channel 15) signed on September 1, 1990, and began broadcasting from a transmitter and tower located on top of Sharp’s Ridge. In 2000, WSJK-DT (Channel 41) and WKOP-DT (Channel 17) signed on the air as our station's first digital signals. In 2002, WSJK-TV was renamed WETP-TV and both stations adopted the name East Tennessee Public Television, soon becoming known as "ETPtv." In early 2009, our station became one of the first stations in East Tennessee to broadcast a digital signal 24 hours a day in high definition. After the addition of a new tower and multiple service providers in our area, viewers now receive our programming on a variety of channels. So in 2010, the station changed its name to better reflect everything we are: The local PBS affiliate that offers educational resources for all East Tennesseans, on and off the air. We are now East Tennessee PBS. 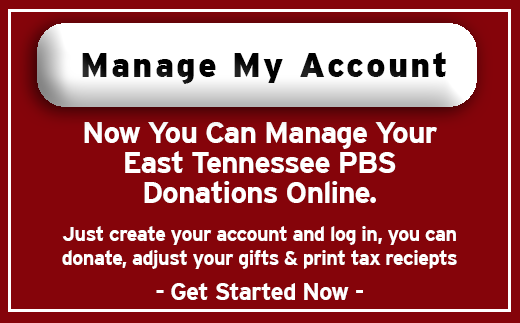 East Tennessee PBS is primarily supported through contributions from individuals, corporations, and foundations in the East Tennessee area. These funds are supplemented by support from the federal, state and local government. With the generous support of our loyal members and community, East Tennessee PBS will continue to provide lifelong learning opportunities that educate, entertain and challenge minds.